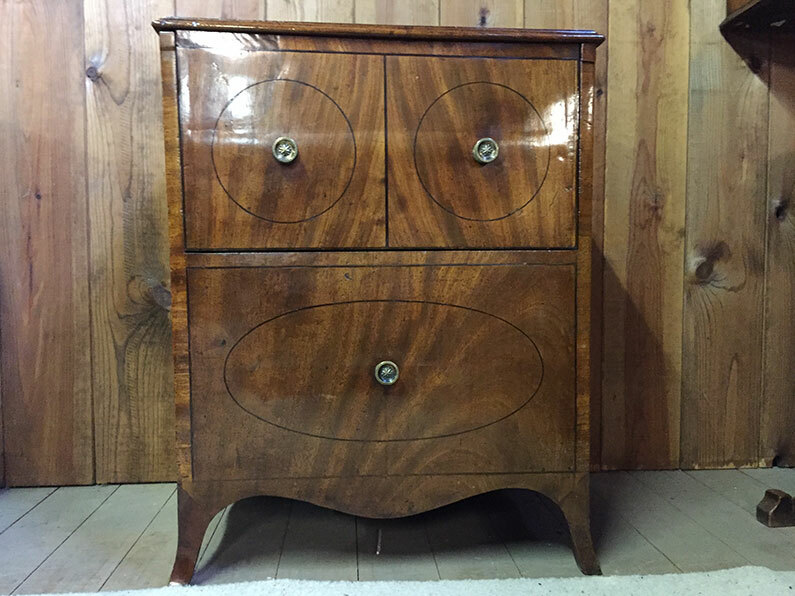 A classic piece of antique furniture, string inlay, splay feet. Top lifts to reveal commode. Ideal end or lamp table etc. Price does not include delivery and must be organised or purchased in addition.